More Green Hotels... The List Just Keeps Getting Longer! Yet another Tampa Bay hotel has gone "Green"! La Quinta Inn & Suites- Tampa North received the Florida Department of Environmental Protection&apos;s Green Lodging designation earlier this month. The Green Lodging Program requires facilities to meet environmentally-friendly guidelines by increasing energy efficiency, water conservation, clean air practices and waste reduction. 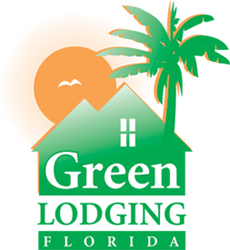 After it&apos;s launch in March 2004, the Green Lodging Program has added more than 25 Tampa Bay hotels to the list of certified "Green" hotels. We are very proud of our city&apos;s hotels and their efforts to become eco-friendly facilities. Let&apos;s keep up the good work!